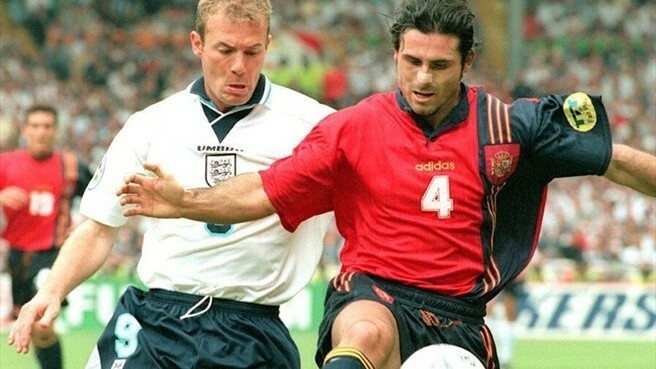 Euro 96 was one of my earliest football watching memories. 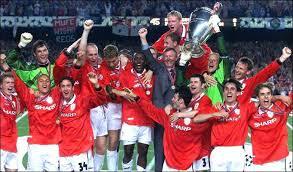 Football Comes Home, the song by the Lightning Seeds, matches at the old Wembley, all that. I probably should have bought an England jersey, but what are you going to do? Instead let’s talk about Spain. 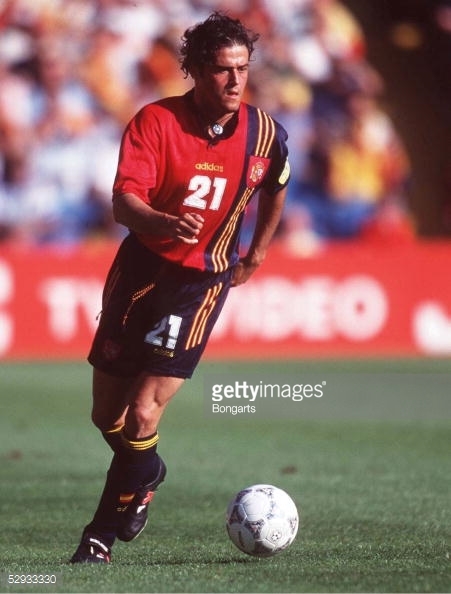 The theme of the Euro 96 group stage for La Furia Roja was late goals as three of their four goals came in the last fifteen minutes, including the goal from Amor on 84’ against Romania that put them through to the quarters. 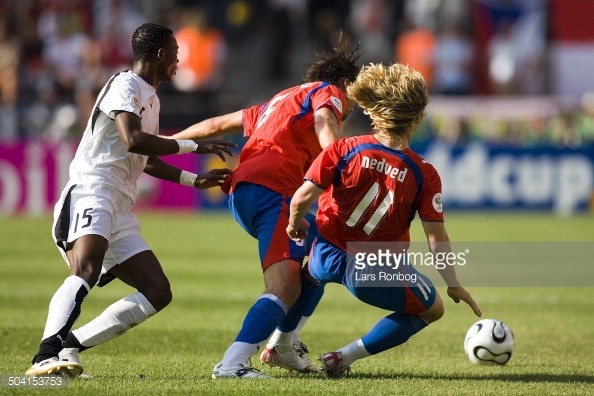 In the knockout stage, the hosts of the tournament provided the opposition. It was the only game that I saw the Spanish team play at the tournament, and I don’t remember much other than it was scoreless and I had to leave with only minutes remaining in extra time. My family had to go to my dad’s work party, and, since I was living rent free with my parents, I had to go. This was pre internet, so I didn’t find out the result right away and had to wait until the England/Germany semi-final game to see some of the penalties. I’m still pissed about the whole circumstance. Not a great reflection on me but I really wanted to see that game. 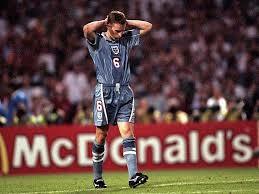 I was an England fan at the time and couldn’t believe that my parents couldn’t wait until the game was over. The lake and the food and the people were not going anywhere. I’ll eventually get over it. 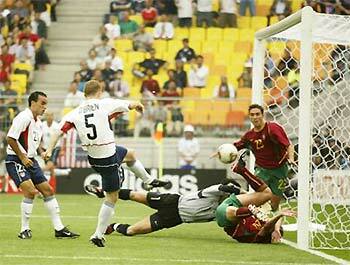 Researching the game, I was shocked to read that Hierro missed the opening penalty. As one of Spain’s all time leading scorers and captain for club and country, I figured he would have been a sure thing. Reviewing the squad I didn’t recognize many players. There was Zubi of course, Hierro, Kiko, a couple of Barcelona players—Sergi, Abelardo and Nadal—and of course Luis Enrique, one of my all time favorites. 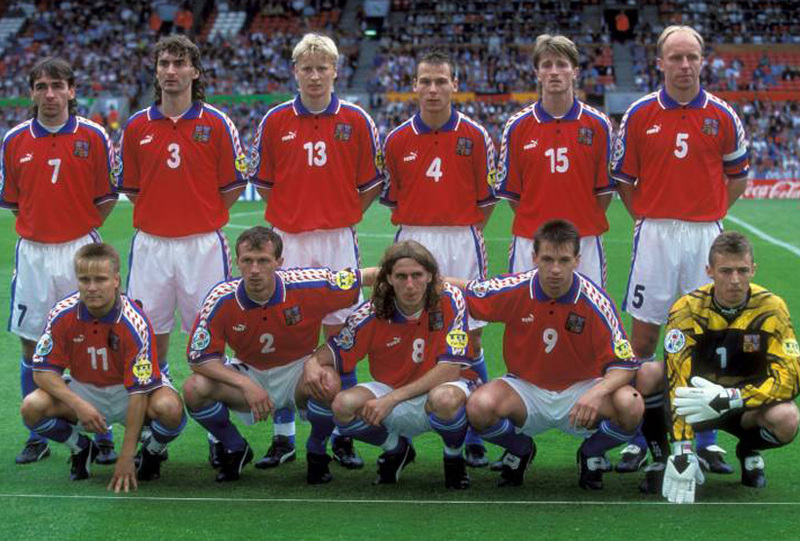 By the time Euro 2000 rolled around, this squad would be almost completely replaced. 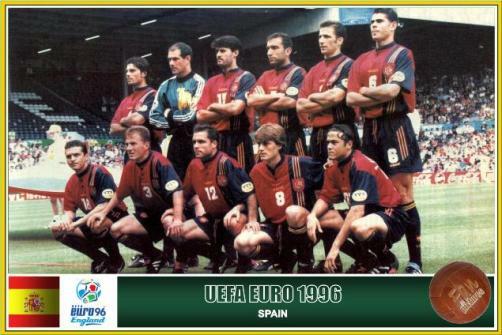 The Spain Euro 1996 Home Kit was one of the first jerseys I ever bought. 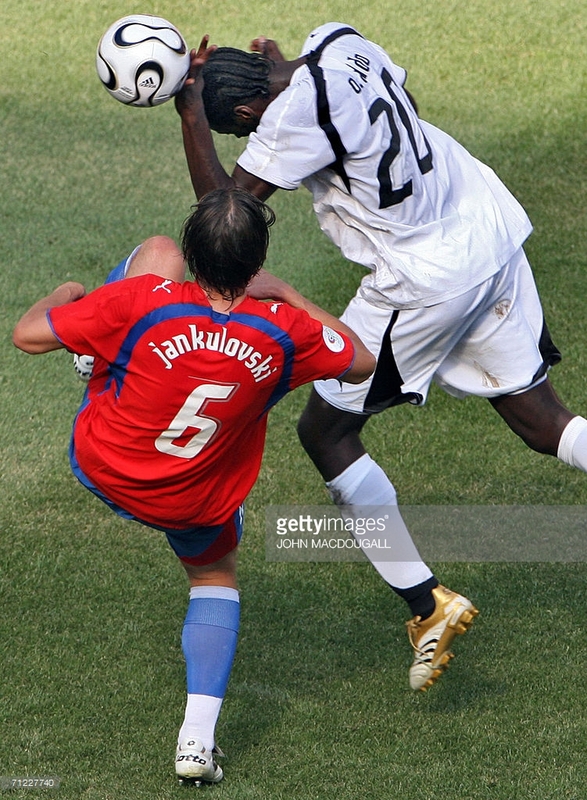 At the time, I liked the template and the use of navy blue on the predominately red kit. Although the badge is unusually large, there are some nice touches such as the series of three stripes and Royal Spanish Football Federation (RFEF) printed on the shirt. The Spanish flag on the sleeve was, as far as I can tell, new at the time, and the official garment tags are in Spanish. The white name and numbers really pop and allow for easy visibility. The banded collar, which was specific to an era in fashion, has faded over time, but the rest of the jersey has worn well. Combined with navy blue shorts and socks, the was a nice looking strip. In retrospect I bought the wrong size so the jersey is quite large on me. It is relatively light but unfortunately it doesn’t breathe that well so on hot days it’s a tough go. I don’t wear it that much, hardly ever to play in, but break it out for Spain’s tournament runs. Call me sentimental or superstitious or lucky. All in all a piece of history in my collection.